The cost of solar panels, actually the price to the individual homeowner of solar panels is undoubtedly the main contributor to the price of a new residential solar electrical power generators. With the decreasing price of photovoltaic panels the other cost items (especially the solar inverter) start to be relatively more significant, namely the pure sine wave solar inverter mentioned above as well as the installation cost. Luckily, the maintenance cost for an existing solar power system is very low and with adequate care the system can be useful for 20 years or more. A typical 3,000 Watts turn-key residential solar power system gross cost is around $20,000 including the inverter, wiring, permits and installation. It is tempting to compare it to the price of family cars and emerging solar financing models are indeed similar. The difference is that a new family car will be replaced within a few years while the new solar power system will last for at least 20 years. Therefore, make sure you buy from a source that you can count on to sell you a product that will have a long life span and that is covered by a compatible warranty and warranty terms. Any solar panel will be degraded over the years and will produce slightly less power after every year in service. Therefore, compare prices of new panels that came from accountable and reliable manufacturers. Buying at bargain prices a product that will die after a short time is similar to throwing money away. If you buy 1 or 2 panels, 60 Watt or 130 Watt, compare prices at Amazon.com, Northerntools.com and the nearest Home Depot store. These panels can serve you for a small cabin, for your recreational vehicle (RV) or for powering a solar powered battery charger. You can expect a price of $4 to $6 per watt. If you buy solar panels that will generate 2,000 Watts to 4,000 Watts, the expense justify a deeper market research. 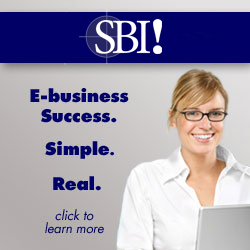 The site www.ecobusinesslinks.com is a good reference source regarding updated solar panel prices in mid to high volume quantities. 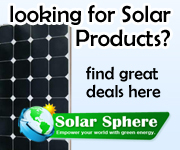 The site is updated frequently; it gives the price of NEW solar panels and only from well known manufacturers. Make sure to compare prices in $ per Watt terms rather than in terms of $ per square feet. Usually, there is enough roof area to accommodate larger size panels if they come cheaper. All parts of a solar system must be sized correctly; any grid tied system must get the utility approval. Start by asking a solar contractor to provide you with a turnkey itemized proposal after the contractor has visited the site, then check the contractor numbers against the best prices you have found for the inverter and the panels. Figure out whether you want to DIY, and take into account that only certified electrician can wire the system. In certain states (e.g. California), only systems that were installed by solar contractors are entitled to state level incentives and tax credits. Still, you can use the prices you have collected as leverage in negotiating a better turnkey price. The build it yourself concept looks great in theory when it comes to building the solar panels from raw materials and it might as well be a good exercise in physics and a good time filler. However, it is not a real substitute to solar panels that came out from a mass production facility that has a tight quality control. My personal advice is to run a thorough solar panels price comparison between supply sources with a good reputation and buy at the best prices you can find.